While people have to pay some Colorado bankruptcy court fees when filing for bankruptcy, these fees are usually nominal compared to the debt relief they can achieve. When you are ready to submit your bankruptcy petition to a Colorado court for consideration, you will have to pay some court fees in order for the petition to be reviewed and processed. Below is a look at the Colorado bankruptcy court fees you can expect to pay. 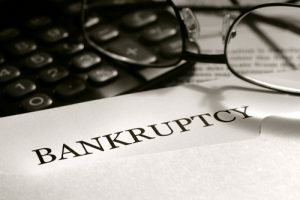 These may not be the only costs of filing for bankruptcy in CO. While these fees may seem costly, they are very nominal, especially when you may be facing thousands of dollars of debt, the possibility of losing your home and other serious consequences. The Colorado bankruptcy court may update these fees at any time, so it’s best to consult the court (click here to see the court’s website) for the most up-to-date bankruptcy filing fees. Additional fees may be assessed for copying costs, archive retrievals, separating joint filings and/or filing appeals to the bankruptcy court’s decisions. Efficiently navigate the bankruptcy process so they can achieve the best possible resolutions to their cases. The bottom line is that, at Lindquist-Kleissler & Company, LLC, our Denver bankruptcy attorney is committed to helping each of his clients resolve their case as efficiently and favorably as possible. For a free 30-minute consult to discuss your options for debt relief, contact us by calling (303) 691-9774, or email us using the contact form on this page. You will pay nothing up front to obtain trusted, professional advice regarding your case and your options.